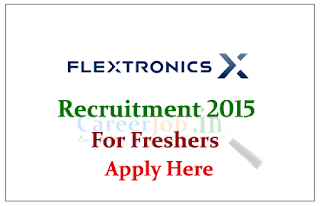 Flextronics is hiring freshers for the Post of Associate Consultant for the year of 2015. 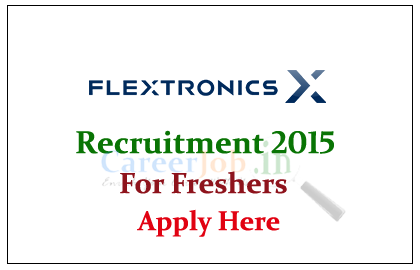 Location at Chennai, Eligible candidate can apply online as soon as possible. Flextronics International Ltd. (simply known as Flextronics or Flex) is an American supply chain solutions company that offers design, manufacturing, distribution and aftermarket services to original equipment manufacturers (OEMs). Flex is a Global Fortune 500 company based in the Silicon Valley (filing in Singapore) and is the second largest global Electronics Manufacturing Services (EMS) company by revenue, behind only Taiwan's Foxconn. Eligible Candidates can apply online with above official link as soon as possible. 1. Supporting the users of Business Process Management Application. 6. Problem management, Root Cause Analysis, Quality initiatives, Bug Finding and Fixation.